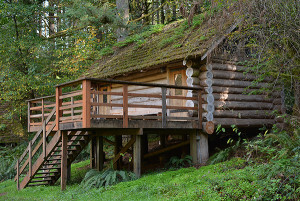 Tucked away in the Chehalam Mountains of the Willamette Valley, Magness Memorial Tree Farm is private property owned and operated by the World Forestry Center and is the perfect place to explore and learn about our internationally recognized demonstration forest and outdoor education site. The land was donated in 1977 by generous local residents Howard and Panzy Magness. 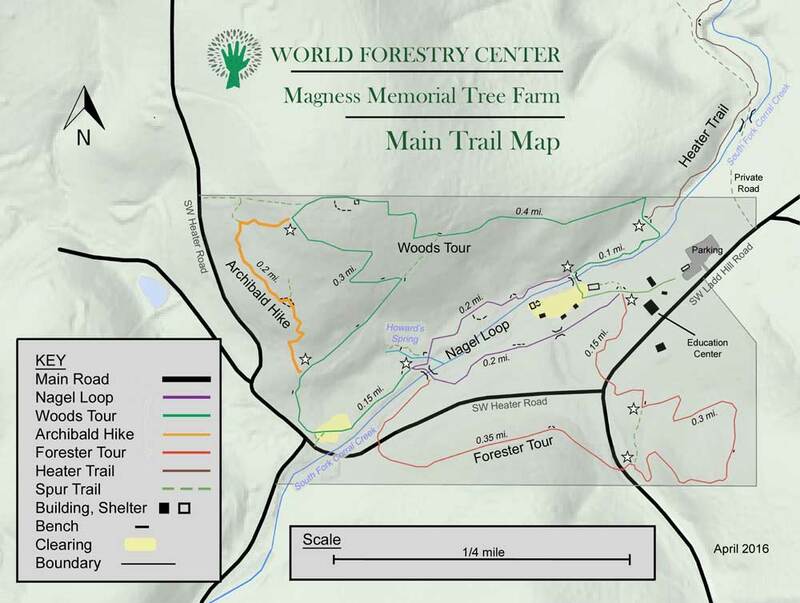 Located approximately four miles south of Old Town Sherwood and 10 minutes west of 1-5 Wilsonville exit 283, Magness Memorial Tree Farm is only 45 minutes from downtown Portland. Originally developed as a demonstration site for woodland owners to showcase forest management and silviculture, we are open to the general public, dawn to dusk, year round; barring private events and other special closures. 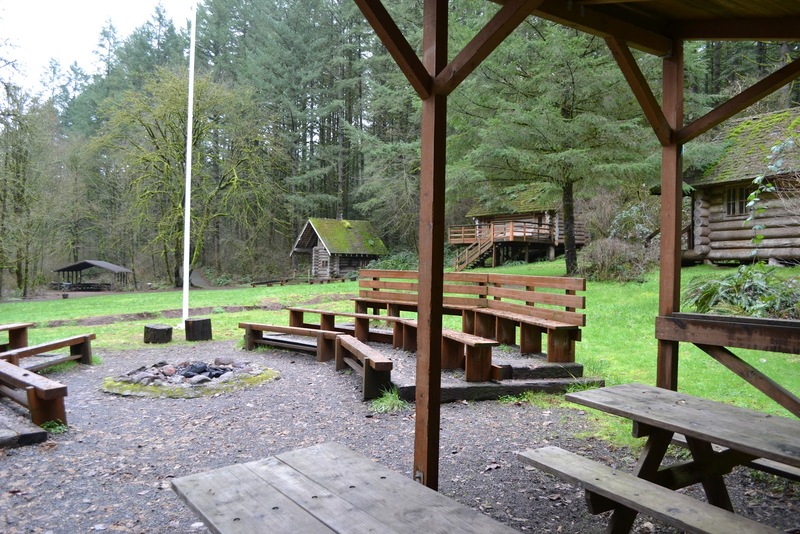 With 2.5 miles of hiking trails, sheltered picnic areas, meadows, streams and forests, it is the perfect place to spend the day in the woods! Leashed dogs are welcome at the property. Learn more about the American Tree Farm Systems. We are open dawn to dusk year round. 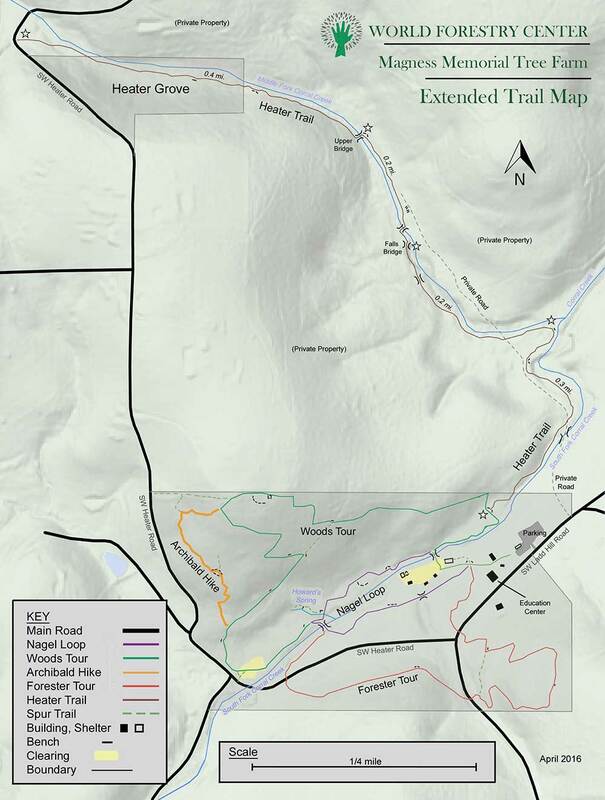 We do periodically close the property, facilities, and/or sections of trails for private events, active forest operations, and/or our own discretion. 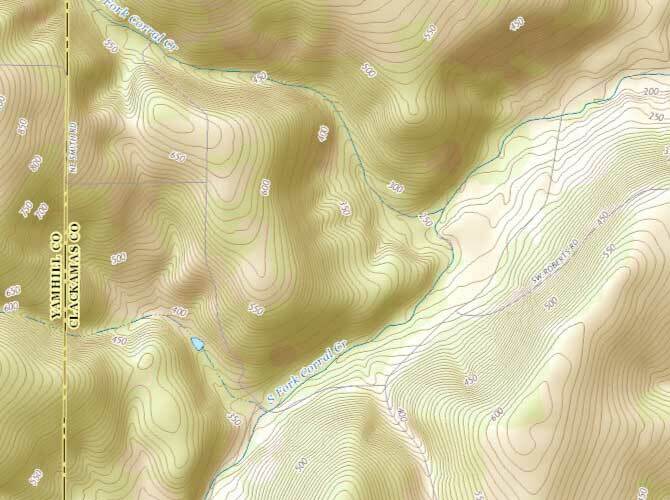 While this is rare, please respect closures when they do occur and be patient while we do our best to reopen access. Violators of our rules may be ask to leave. We are a private facility open to the public and reserve the right to refuse anyone at our discretion. Our rules are subject to change. Stay on the trails. Have fun. Learn something new every time you come! All dogs must be on a leash. There are predators in the forest. Leashes are for their protection and for the protection of our visitors and the wildlife; control/prevention of invasive species; and health of sensitive habitat, soils and streams. No smoking and please don’t litter. No cooking fires outside of designated areas. Picnic shelters are first come, first served. No visiting outside of daylight hours without expressed permission from WFC staff. Violators will be treated as trespassers.